*Images may differ from final product. *Product may be subjected to change. 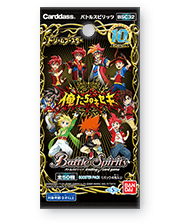 Battle Spirits 10 Year Anniversary Booster ! 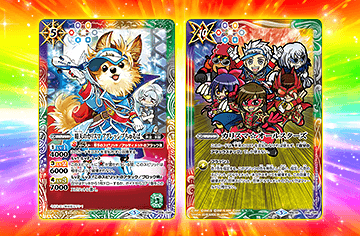 In addition to the 20 types of animation character [GranWalker Nexus] cards, this booster included many more cards made by special guests and actors in EXTREME GAME show. 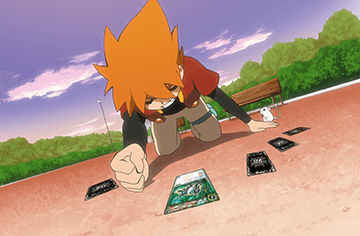 What’s more, there are cards with illustration of the iconic scenes in past animation to welcome this 10th Year Anniversary ! On sale August 25th (Sat.) 2018! 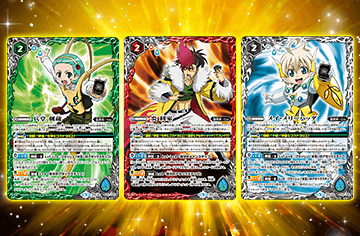 * The cards included in this pack may be used in official tournaments from August 25th (Sat.) 2018.